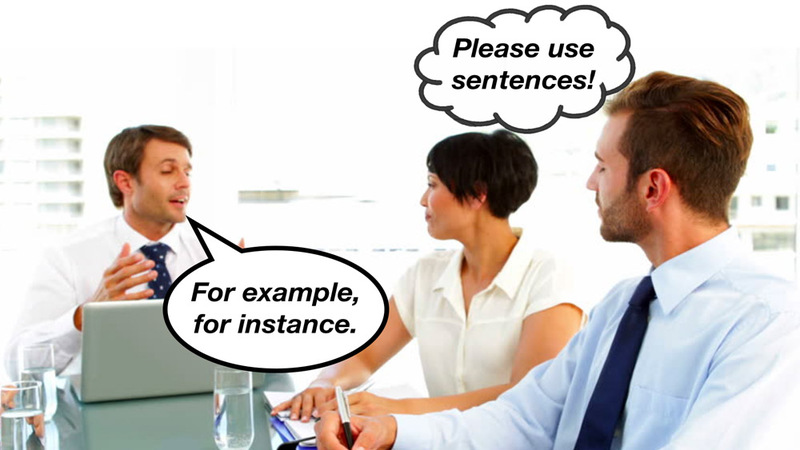 This may appear to be two sentences, but the second ‘sentence’ does not contain a verb and is technically not a sentence. It’s the kind of thing you’ll occasionally hear in spoken English, but not in formal writing. There are many alternatives to fossil fuels, for instance wind and solar. A is true. For instance, + sentence. There are many alternatives to fossil fuels. For instance wind and solar are becoming more and more efficient and cost effective. A is true, for instance + noun. A is true. For instance, + noun.